Metallic gold is used on the Royal Cypher and also on the stamp value making an eye catching collection. 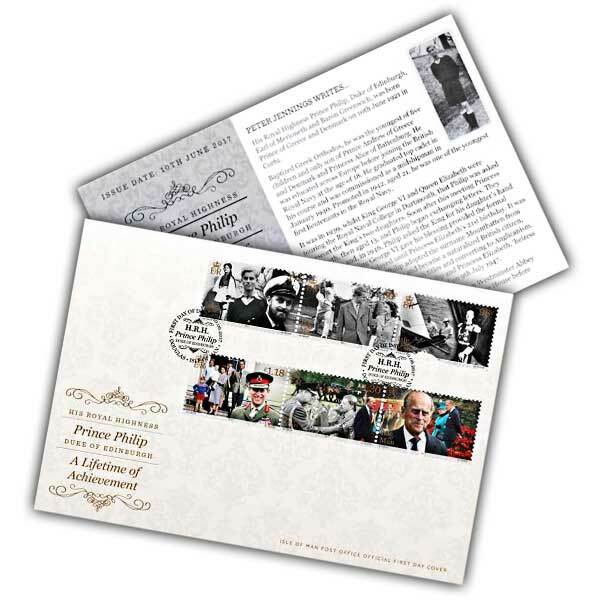 The complete set of the eye capturing 'HRH Prince Philip-- A lifetime of Achievement' stamps are splendidly displayed on this stylish envelope. 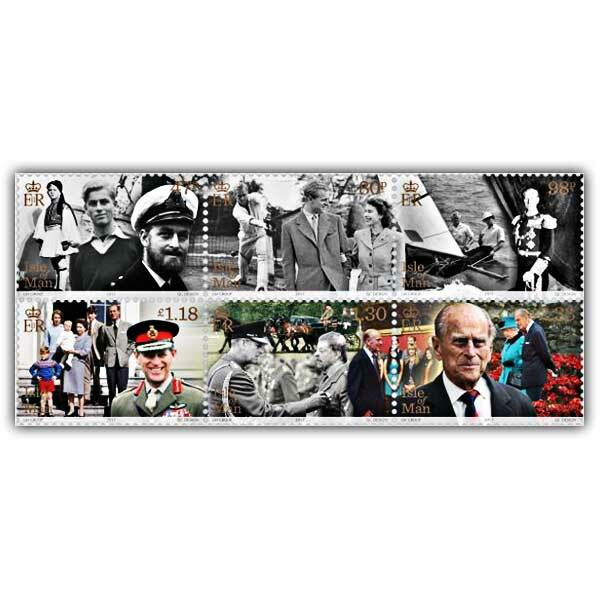 The stamps are cancelled with a unique postmark for the very first day of issue and the collectable is finished with a useful filler card with text written by the late Peter Jennings who was a member of the Royal Philatelic Society from 1966 until his death in 2013. The text was likewise contributed to by charity advocate and Falklands veteran Simon Weston CBE.